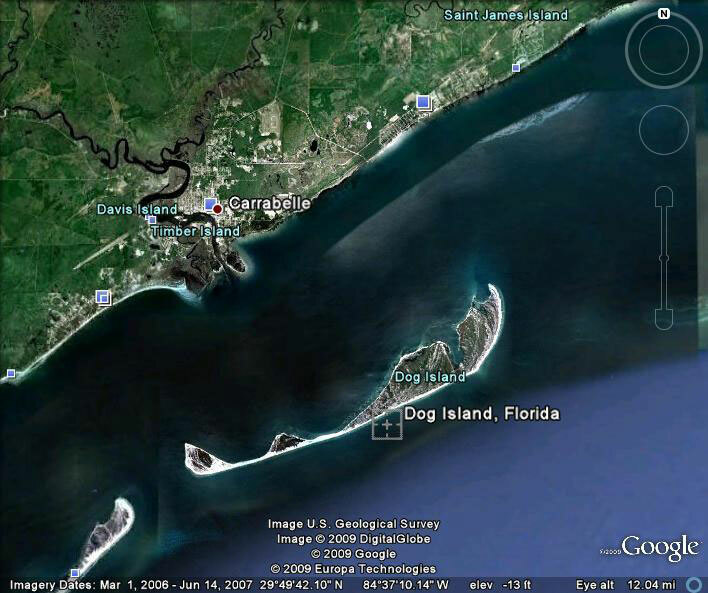 Dog Island is a 6.8 mile-long, east-west trending barrier island along the so-called “forgotten coast” of the Panhandle of Florida, in the Gulf of Mexico. (See map, Figure 1.) The island ranges in width from one mile to 200 yards. The name Dog Island may be based on the fact that there once were wild dogs on the island. 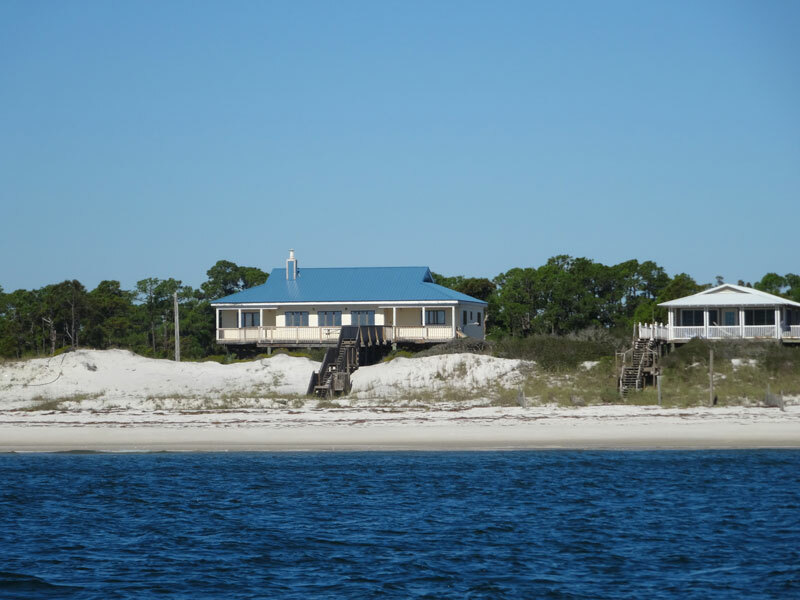 Another possibility is that indentured sailors known as “Sea dogs” were temporarily put ashore on the island when sailing ships came into the Carrabelle River (Apalachicola’s closest deep-water harbor), so they wouldn’t jump ship. During the 17th and 18th centuries, the island was a haven for smugglers. Several lighthouses have been in service on the island, but regardless, many shipwrecks occurred in the area. In 1838, the first Dog Island lighthouse was built, only to be seriously damaged within 4 years by the 1842 hurricane. The following year, in 1843, a new wood-framed lighthouse was built which successfully weathered the hurricanes of 1844, 1846, and 1850 but did not survive the hurricane of 1851. In 1852, a new brick lighthouse was built which was partially burned by the Confederates during the American Civil War in the 1860s, to prevent use by Union soldiers. Interestingly, the light in this lighthouse used 423 gallons of whale oil per year. In 1873, a storm destroyed it, the last Dog Island Lighthouse. Another one was never built on the island. This 1852 lighthouse now resides (in fragments) on the bottom 100 yards offshore. In total, the location of the lighthouse remnants indicate 300 yards of shoreline retreat since it was built, because it initially was 200 yards inland from the beach. The latest lighthouse, Crooked River, was built near the town of Carrabelle on the mainland, several hundred yards inland. 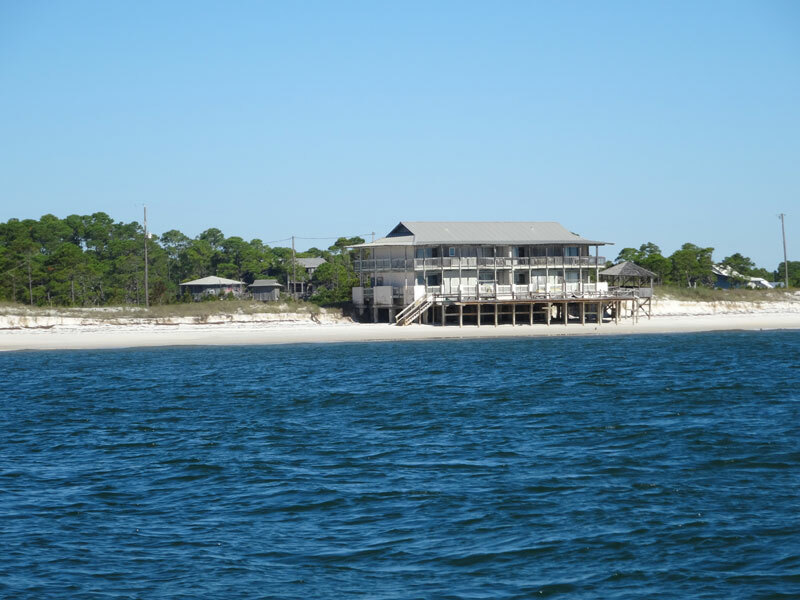 As things go in Florida, the island currently is very lightly developed, with about 100 houses (Figures 3, 4), plus a private boat landing and docks, mis-named the “Dog Island Yacht Club”, where islanders park their land vehicles and their boats on the bay side of the island in Tyson Harbor, on St. George Sound. 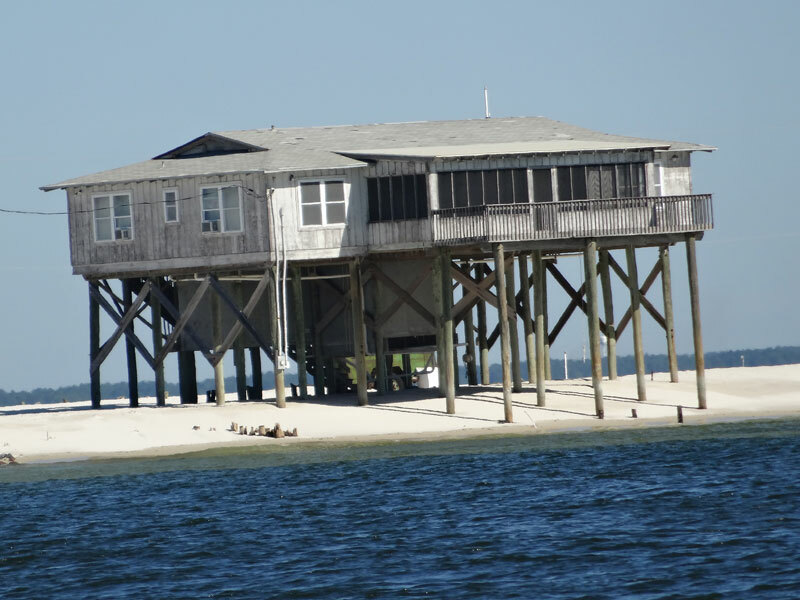 The island is without a bridge, but the “Dog Island Conservancy” has a small ferry on which only Islanders can arrange service from Carrabelle to the Yacht Club basin. 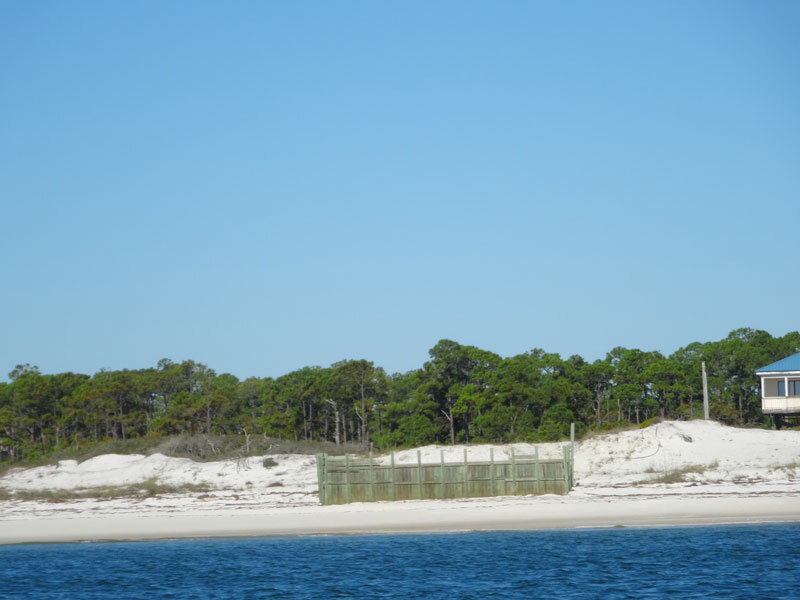 Dog Island is a marvel of barrier island development policy. 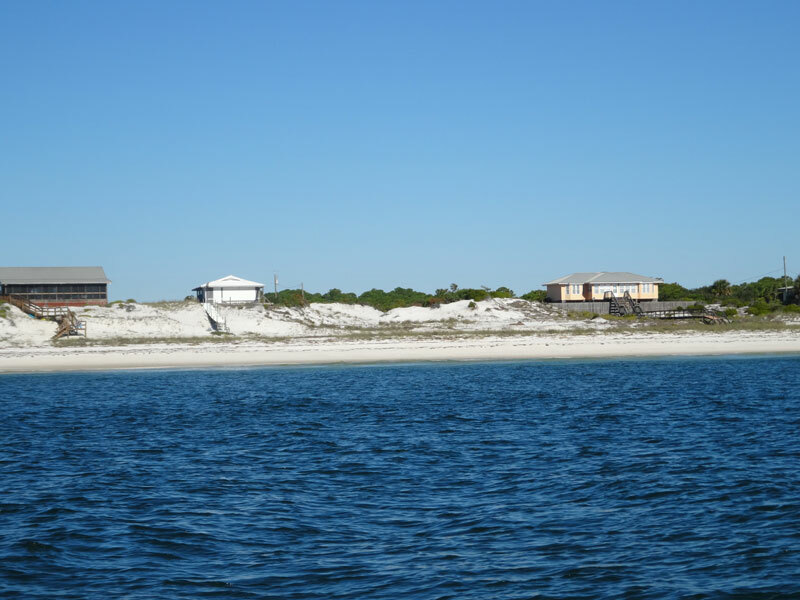 Most beachfront lots measure about 100 feet wide and 500 feet deep. 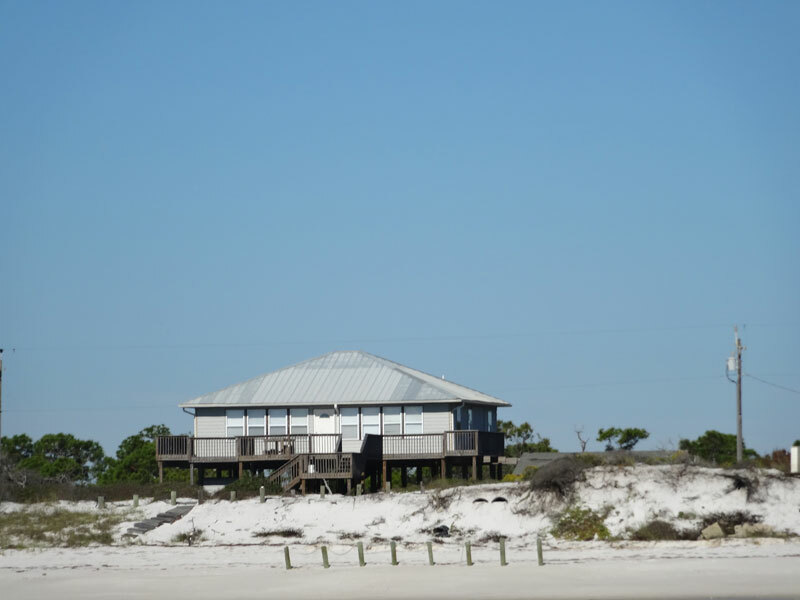 Seawalls are not allowed and houses are either moved back as erosion catches up, or the buildings are allowed to fall in. 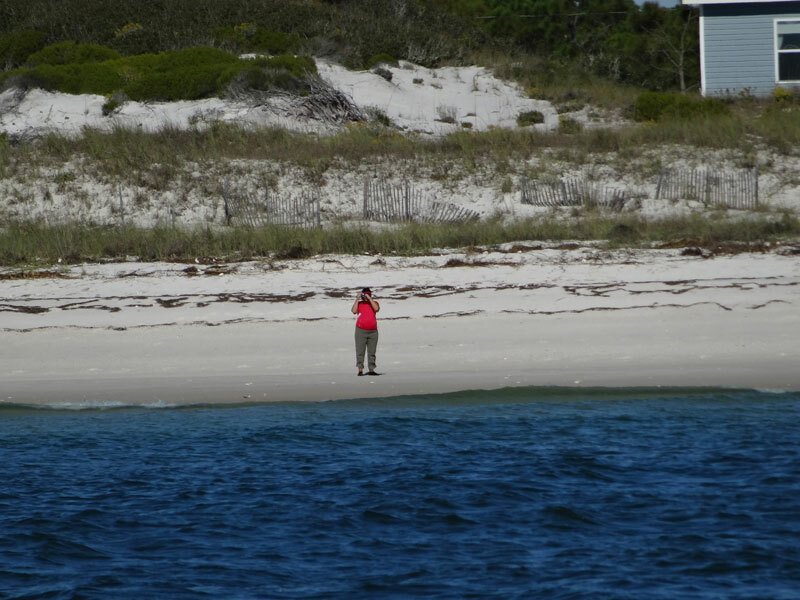 For these reasons, future generations will still have a beach on Dog Island. Two small (illegal) wooden seawalls have been constructed along the front of the island. 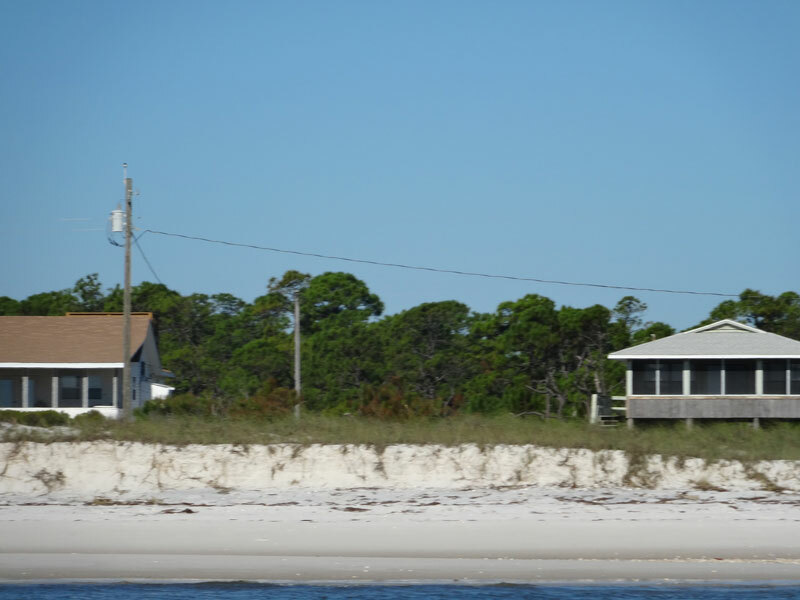 One is in front of an individual cottage and the other is protecting a lot where a cottage once stood, yet was swept away regardless of its seawall. 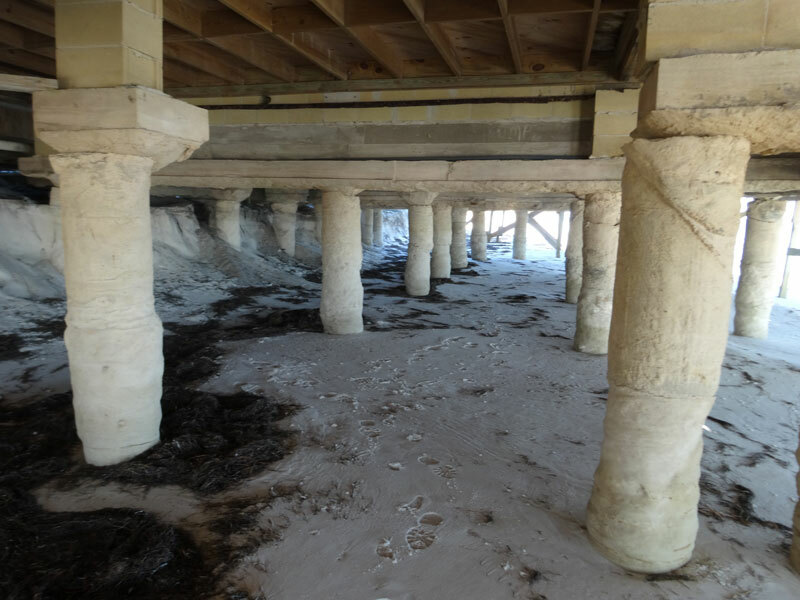 (Figure 5) Both walls are likely to disappear in the next major storm and contribute debris to the beach and the waters of the Gulf. In recent years, some 15 houses have fallen in. Clean-up of the debris is accomplished by the community (the “District) rather than by the owner who abandoned the destroyed house. A number of other houses have been moved back from the shore on their long lots and a few have been moved to new upland lots. 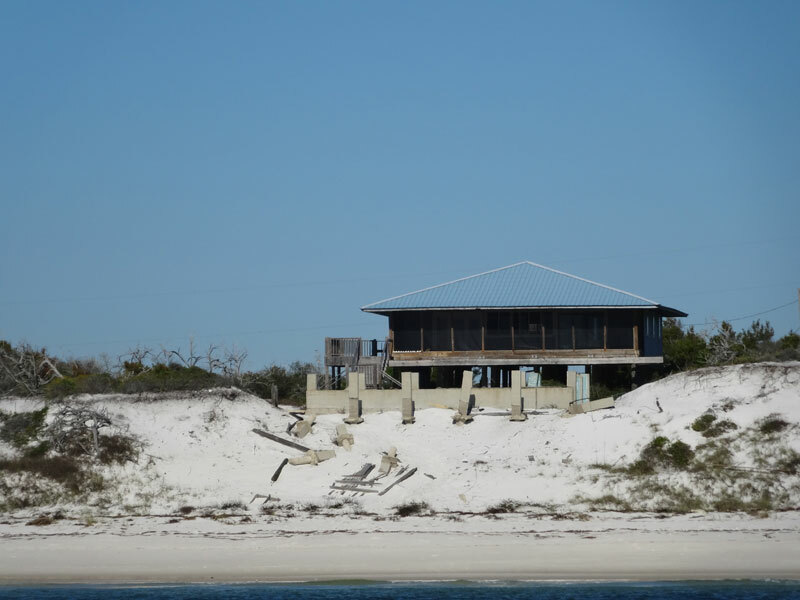 During a boat trip around the island (captained by islander Eddie Hudson and accompanied by naturalist Dan Tonsmeire) in November 2015, we observed about 10 houses that will likely fall in during the next storm–if they are not moved. 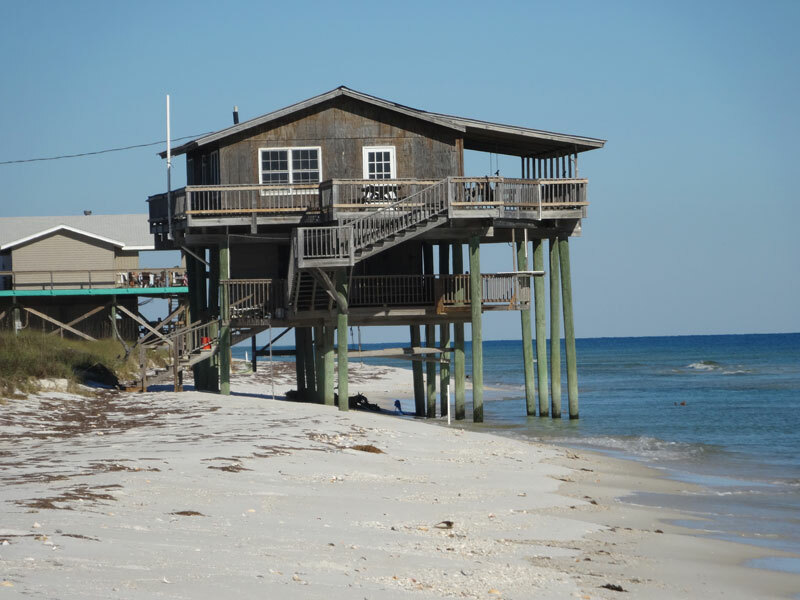 (Figure 6) Among them is the Pelican Inn, a well-known tourist facility (the only one on the island), as it is almost entirely out on the beach. (Figures 7, 8) No other commercial development is allowed and even the renting of cottages is discouraged. The Ausley cottage on the very narrow island segment near the west end of the island was constructed 50 years ago on the bay side. 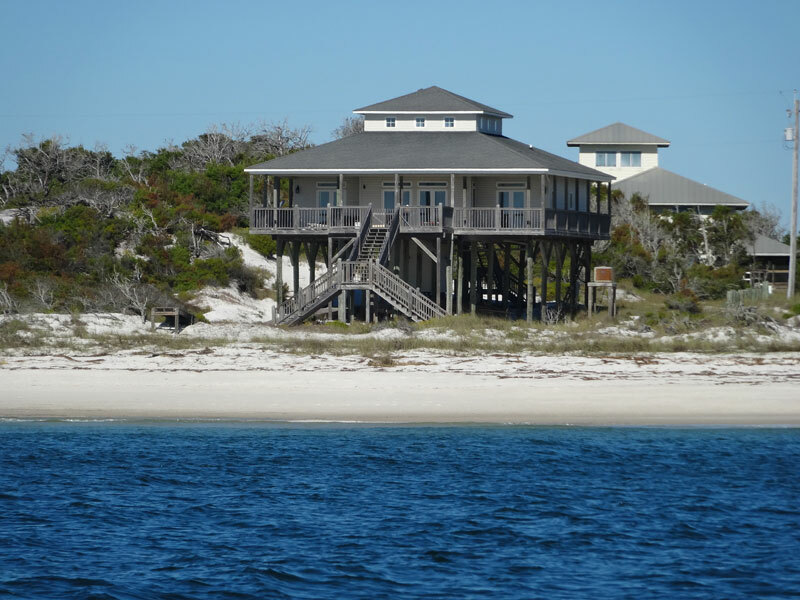 (Figure 9) Today, the house sits adjacent to the beach on the ocean side of the island, startling proof of island migration. The house has been destroyed by storms twice and was rebuilt each time. Judging from spit construction on both ends of the island, sand on the beach is being transported both east and west. The large size of the spit at the east end of the island indicates that sand movement to the east is dominant. Shell content is low in the fine white sand, which appears to be pure quartz/feldspar. The overall grain size distribution of the beach is bimodal, with fine quartz/feldspar sand and a small amount of coarse shells. Brown staining of shells in the coarse fraction is minor and black staining of shells is even more rare. The brown staining is presumably a beach-derived characteristic whereas the yellow color is iron oxide in the form of the mineral limonite. The black-stained shells likely derive their color from burial in a reducing environment, lacking oxygen, where iron sulfide forms. 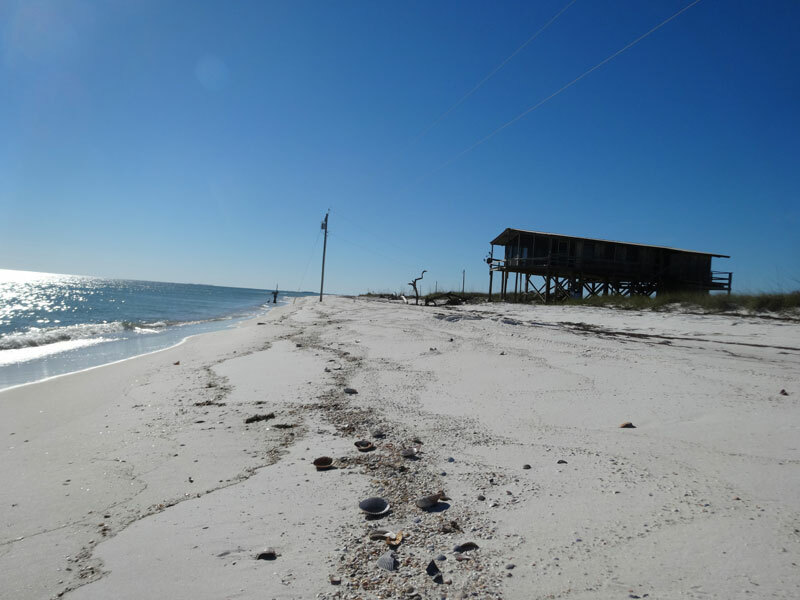 Several aspects of the Gulf-side beaches of Dog Island are quite different from their counterparts on the east coast of Florida. The bright white sand is probably a reflection of the sand’s high maturity and lack of iron-producing heavy minerals. 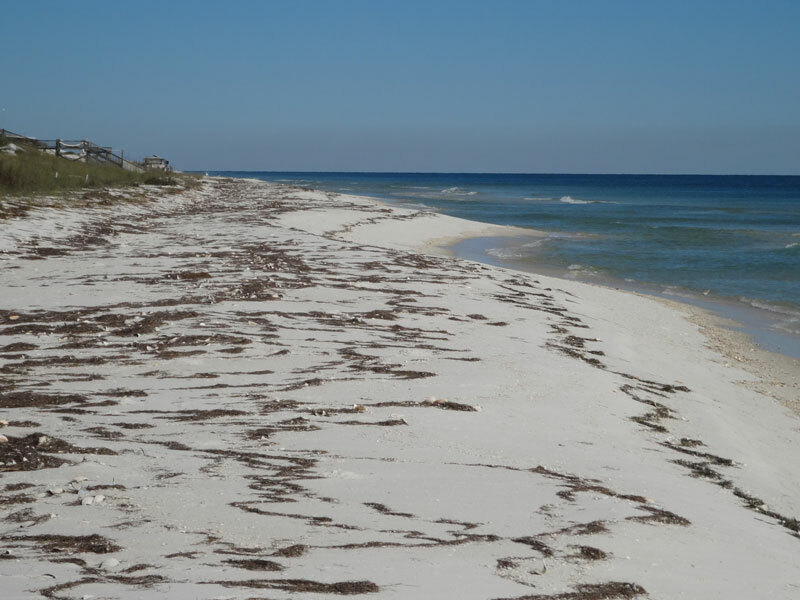 “Barking sand” with a high frequency noise is found almost everywhere on the Dog Island beaches. It occurs in the dry sand above the high tide line. “Barking” is more common in fine sand that is well sorted, which is characteristic of Dog Island beaches. On the East Coast of the U.S., barking sand tends to be found in patches and is much less widespread. Dog Island, with its beautiful white beaches, is one of the best examples in North America of environmentally sound beachfront development. In Florida it is particularly unique. Thanks to Flip Froelich, Eddie Hudson, and Dan Tonsmeire for their help with gathering some of this information.